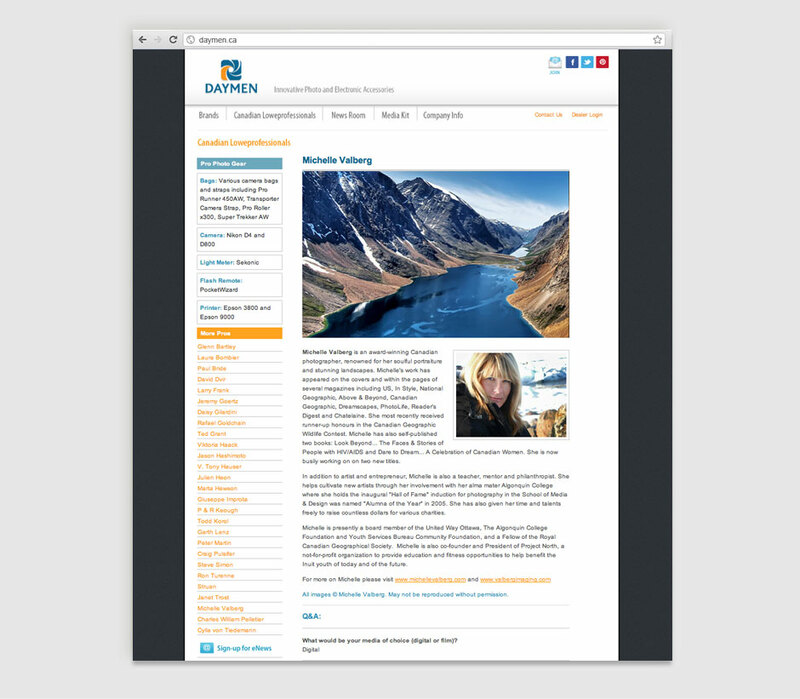 Custom website design for DayMen Canada. 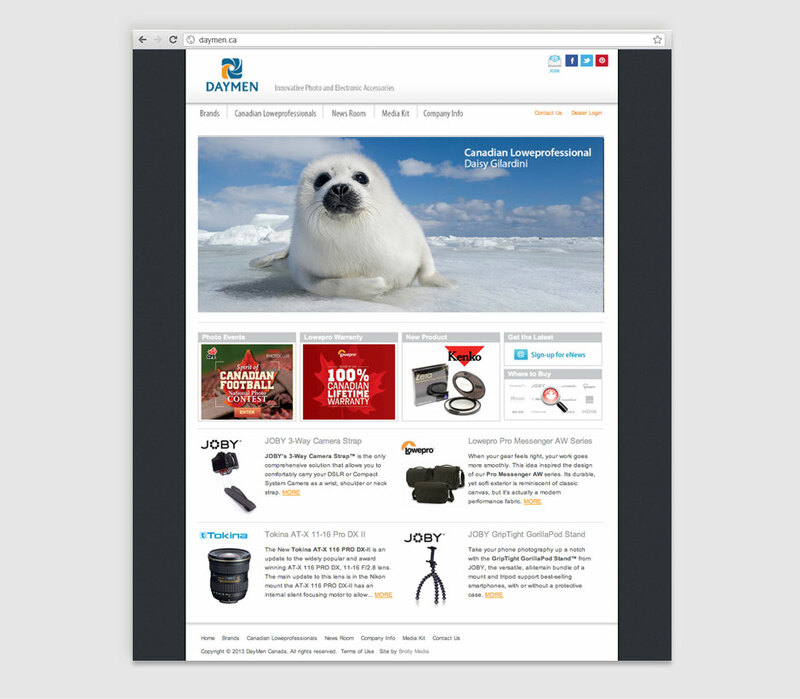 A clean, modern site design serving both dealers and retail consumers. 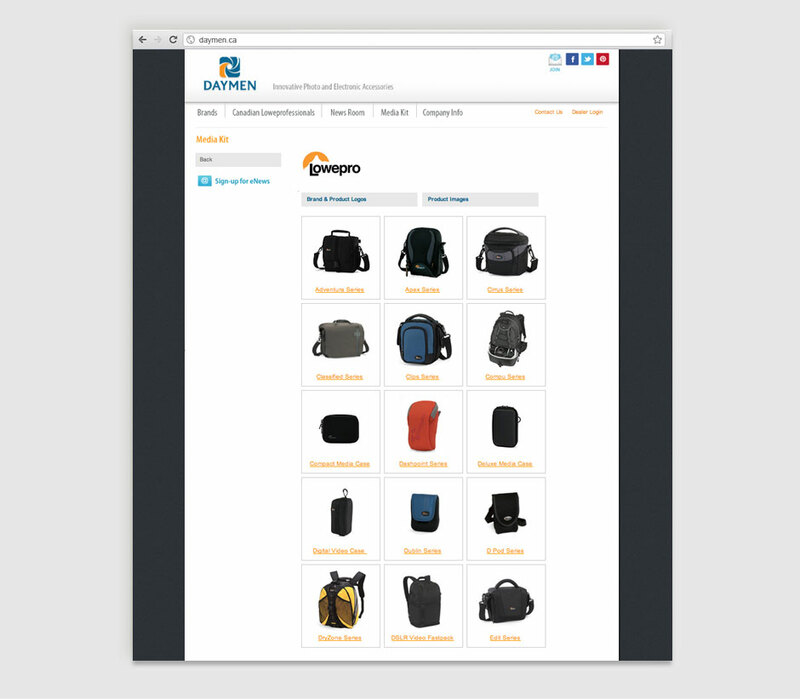 DayMen’s site needed to provide information about it’s own brands, as well as to promote and support the brands it distributes to both a dealer and consumer audience. The site was divided into two separate sites, a consumer site as well as a password protected dealer site providing DayMen Dealers with product information, image downloads, sales incentives and pricing information. 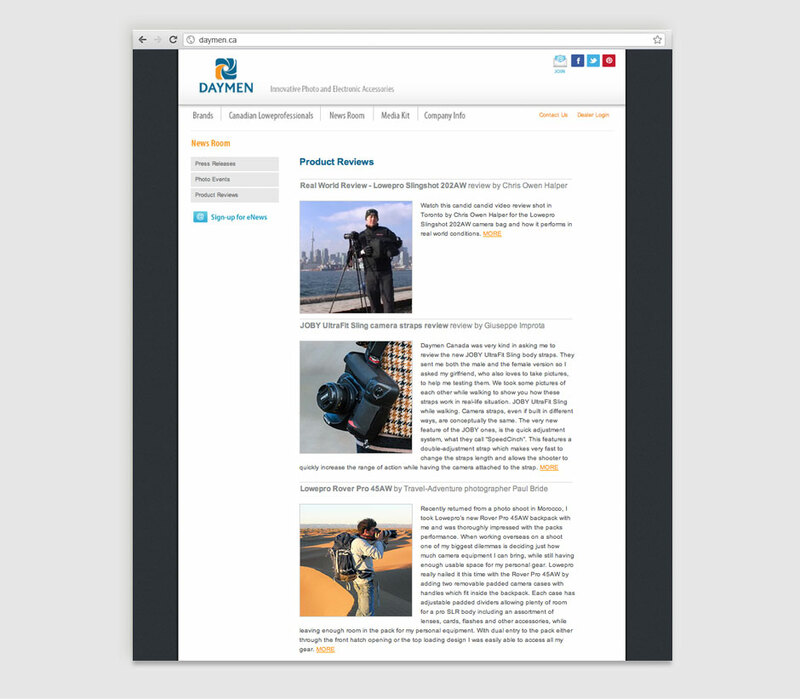 The site featured an extensive media kit, Canadian photographers showcase galleries, individual brand pages, product reviews and information, dealer locator and more.